Tool steel case studies are examples of tool steels used in production. Sometimes an improper tool steel is chosen and results in problems such as a chipped tool, premature wear, cracking, and unscheduled downtime. Case studies reveal the problem and the solution to many common tool failures. 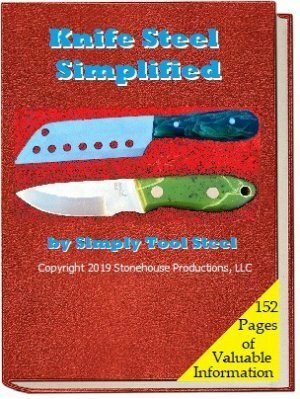 This is a case study involving a tool steel slitter knife used to cut fiberglass/resin material. The original knife material was D-2. The knife became dull during operation. A metal stamping punch case study on zinc sheet. The punch would dull then chip, resulting in downtime to replace the chipped punch. PM M-4 was used as a replacement. Bark peeling is a very abrasive operation. Embedded aggregates prematurely wear out the cutting edge of a peeling cutter. See how D-2 tool steel was used to solve the issue. This is a case study that involves a ceramic compaction die. The work material is silicon ceramic powder which is very hard and abrasive. Erosion of the die wall surface required frequent die replacement. High density metal powders require high hardness die materials to reduce the risk of failure. The compaction forces that are required to compact these powders can force a softer die material to crack due to fatique. High density and high compaction forces caused deformation of the face detail and bevel on a powder metal compaction punch. See how Z-Wear PM® was used to solve this issue. The shaping of Brazilian hardwood with absorbed silica, is a very abrasive operation. D-2 tool steel hardened to RC 60-62 wears out prematurely. See how the problem is solved by the use of PM T-15 hardened to RC 63-65. A case study involving the failure of H-13 pins inserted into a 420 ESR plastic mold and the solution undertaken to solve the problem. This case study investigates the premature wear of a corner on a rollforming roller. Breakdown of the corner resulted in low production of the aluminum coil into the finished product. A demanding metal stamping punch requires high hardness and good edge retention. Stamping high-yield full-hard stainless steel creates a problem for a stamper. Read how he was able to fix the problem. Flaking and chipping of a powder metal compaction punch leads to downtime and frequent redressing. Read this case study to find out how a different tool steel solved the problem. A stamper has difficulty stamping a hardened spring steel. The hardness of the spring steel presents some unique problems for the tooling. How does he solve the issues? PVC vinyl extruding can be very corrosive and cause wear of the die set. See how this tooling manager solved his vinyl extrusion problem.